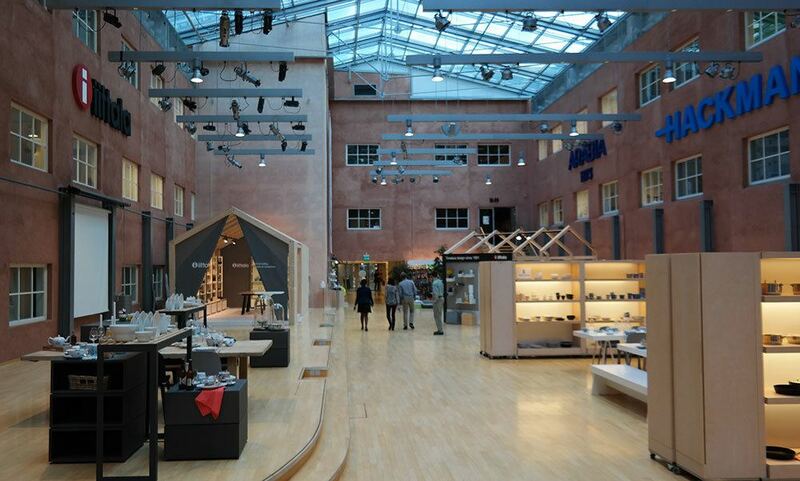 I recently visited Arabia factory in Helsinki. More about the factory, it’s history, amazing historical findings done from the factory attic, the showroom and why Arabia is the best known Finnish home ware brand in the world in this post, but first: why Finnish everyday design is different and how come the artists are the rock stars in Finnish culture. It sort of has always been self-evident to me that you just know the names of the most famous Finnish textile designers, ceramics artists, and even artists who design hand-blown glass art. Let’s take the Marimekko’s iconic Unikko-print with bright poppies as an example – Finns just know that it was Maija Isola who designed it. 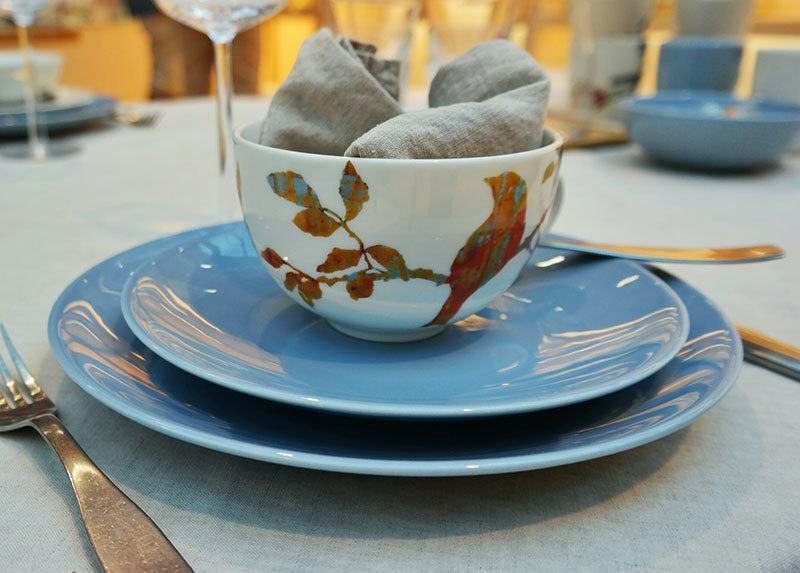 Another example is home ware company Arabia’s Teema dishes, most of my Finnish friends probably could name that the dishes were designed by Kaj Franck. Even with the newer Finnish design brands, such as Ivana Helsinki, you know that the designer behind the brand is Paola Suhonen. The designers in Finland may be shy of using their own name as a brand name (although huge props for show designer Minna Parikka for going with her name as the brand name as well), but they do share the spotlight alongside with the brands. 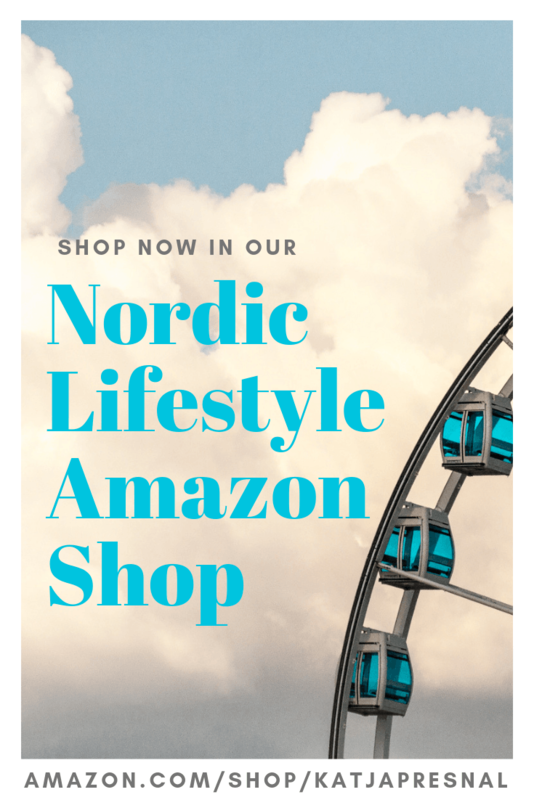 The Finnish textile designers, ceramics artists, or home ware designers don’t have TV shows like Nate Berkus does, and they are not promoted by PR geniuses, nor they are in the covers of magazines or interviewed by morning TV shows all the time. 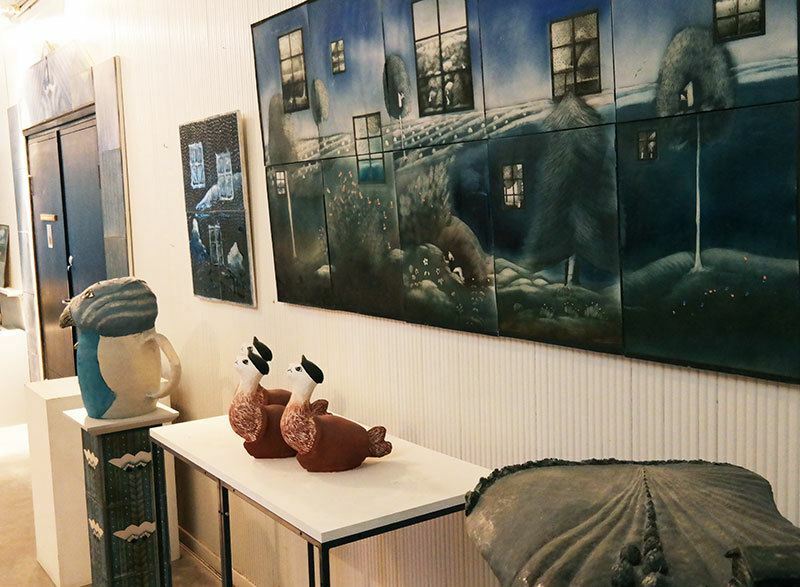 Many (famous) Finnish designers work in small work shops like any other artists, and they do both commercial work for large brands and one of a kind art. I was thrilled to visit the Arabia Art Department, a rare creative art work shop co-op next to the factory where artists can concentrate on making art. This way unique art ceramics and design form a firm interaction, and the top artists of Finland can exchange thoughts and ideas. 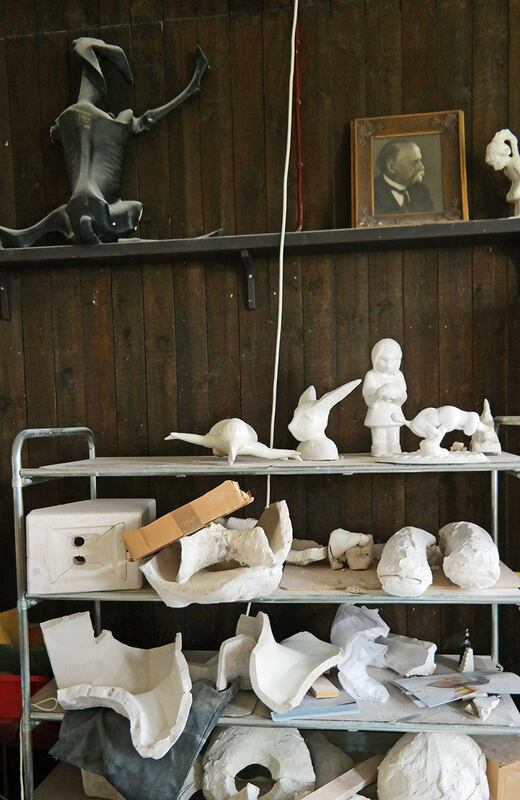 The Art Department Society’s goal is to advance the status of ceramics art in the field of modern culture, and aims at developing the Finnish culture and establish new contacts internationally through ceramics. Peeking through the door of Fujiwo Ishimoto’s work space felt almost equally intimidating as meeting George Clooney at the Oscars. Really, I couldn’t believe it was really Mr Ishimoto, who designed for Marimekko in 1974–2006, and has been designing ceramics for Arabia since 1989. 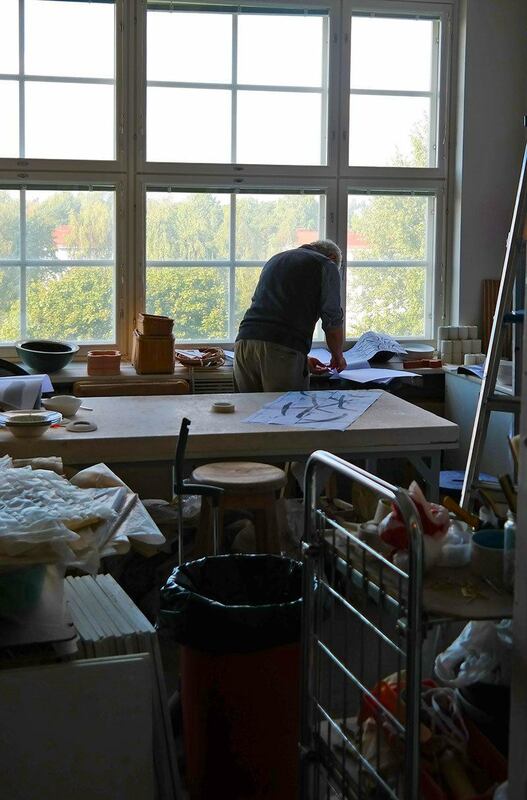 Seeing the work shop of Heljä Liukko-Sundström was thrilling as well, her ceramic art was already part of my childhood home. Applied arts has been an important part of Finnish culture since 1870’s. 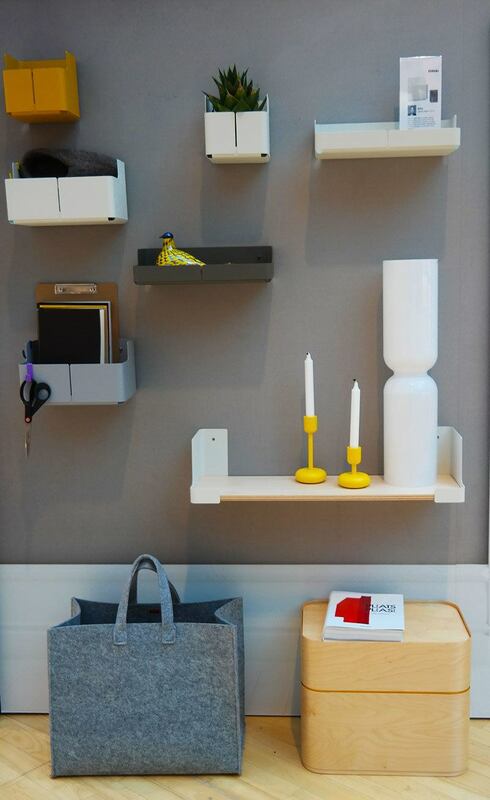 It has been important part of Scandinavian design that even the manufactured products are well-designed – and often by artists instead of pure industrial designers. 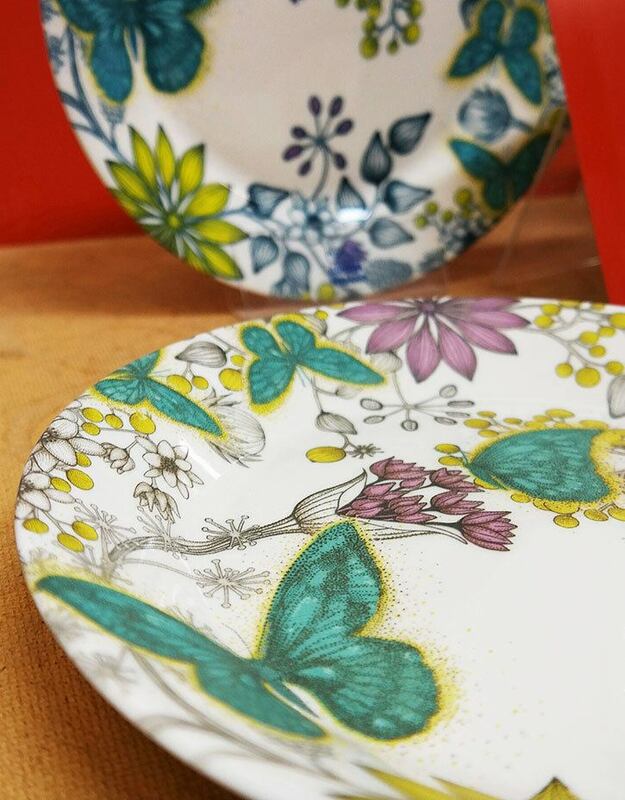 The entire idea of applied arts comes from products designed by using traditionally handmade processes and methods, but then (machine and) mass-produced in a factory. 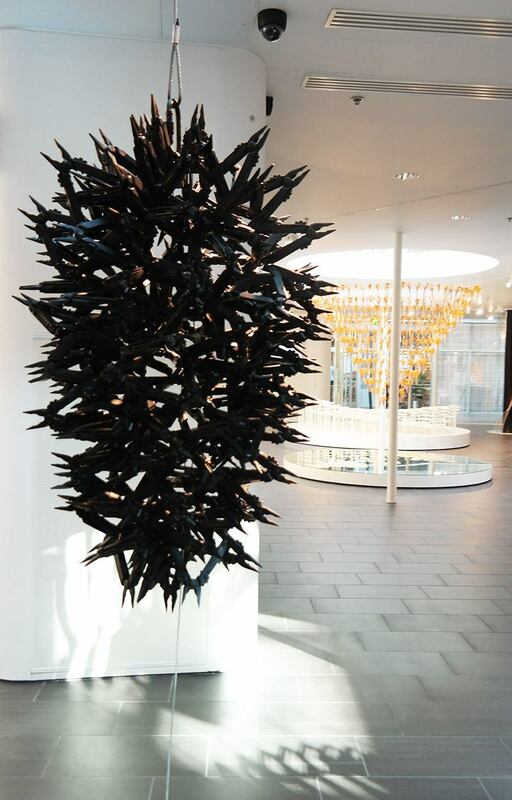 The emphasis has always been put for the designers and the artists and their handicraft skills, even when the products are designed to be mass-produced. This all really comes back what we Finns tend to think: everyday design should be beautiful, and everyday objects should be well-designed and last a lifetime – both with high quality and with visually timeless design. 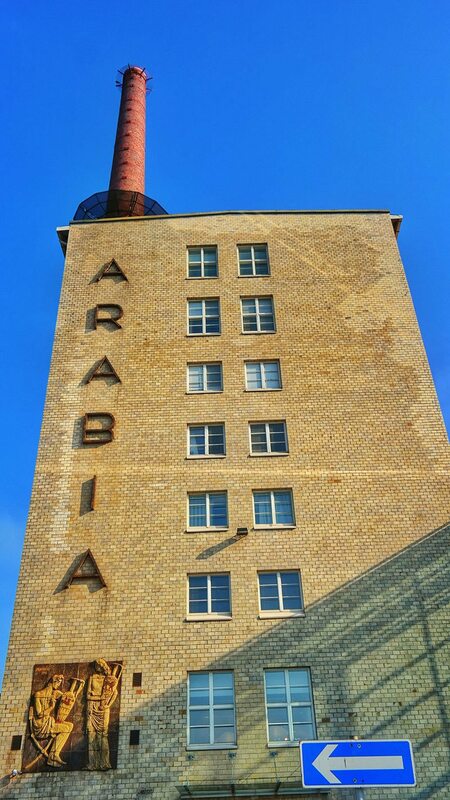 The Arabia factory was built in 1873 in Helsinki, and still today reminds in the same location. It has been a Finnish custom to name companies by the location of the factory, and the entire company Arabia got it’s very non-Finnish name from the area where the factory sits in Helsinki. The rumor goes that the city blocks in the fairly remote area from the city center were named by a sea captain, who had visited exotic locations, like Arabia. Nowadays many think that the area in Helsinki has been named after the ceramics brand giant but it simply was the other way around. 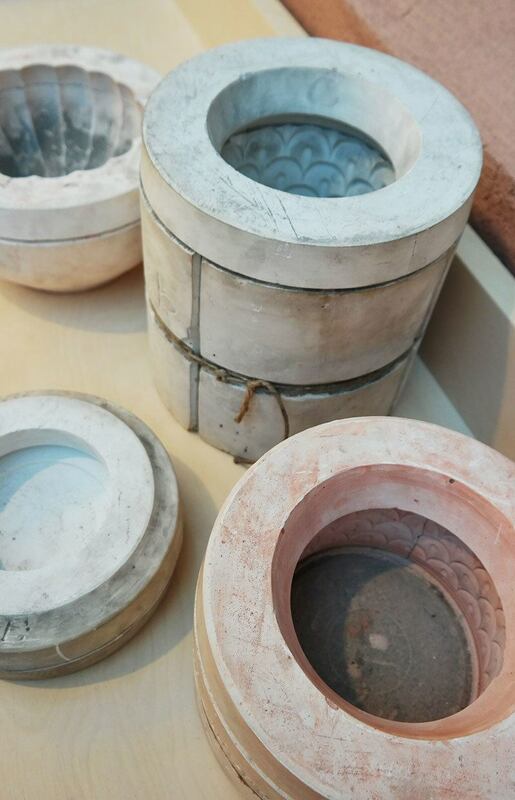 Regardless, 140 years later, thousands of ceramic objects are still fired in the long tunnel kilns of the Arabia ceramics factory. The Arabia factory is the largest ceramics factory in the Nordic countries and it is nowadays part of the Fiskars Group. 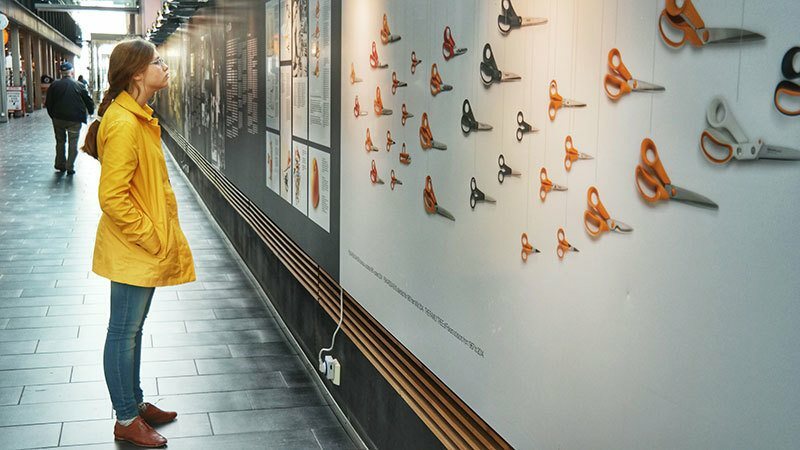 The name Fiskars most likely rings a bell even for our non-Finnish readers – it’s the bright orange scissors you might have in your kitchen or what you buy for your kids for school. Fiskars Group now owns several well-known brands besides Arabia in the ceramics/glass ware/porcelain category, for example Hackman, Höganäs Keramik, Iittala, Royal Copenhagen and Rörstrand. And as you can guess – the original Fiskars scissors were designed with the principles of applied arts – everyday objects had to be designed in a way the function and form unify. The scissors were designed in 1967 and over billion pairs has been sold worldwide. 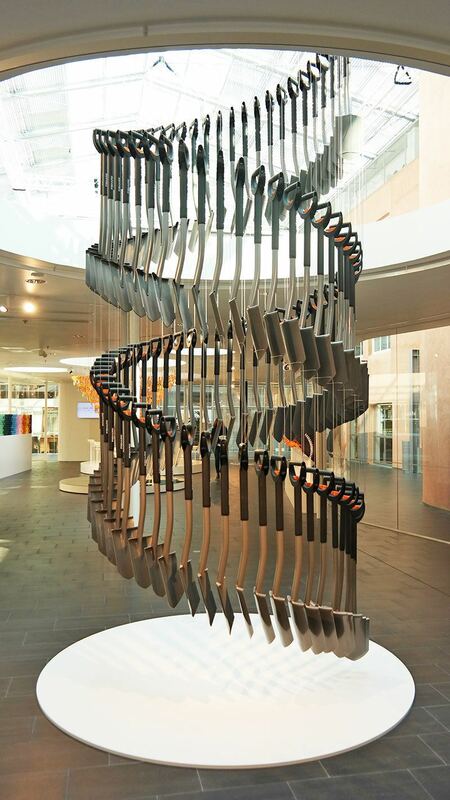 You can learn much more about the history of the Fiskars Group at the Arabia Factory, and see several art installations designed with the everyday objects from their brands. 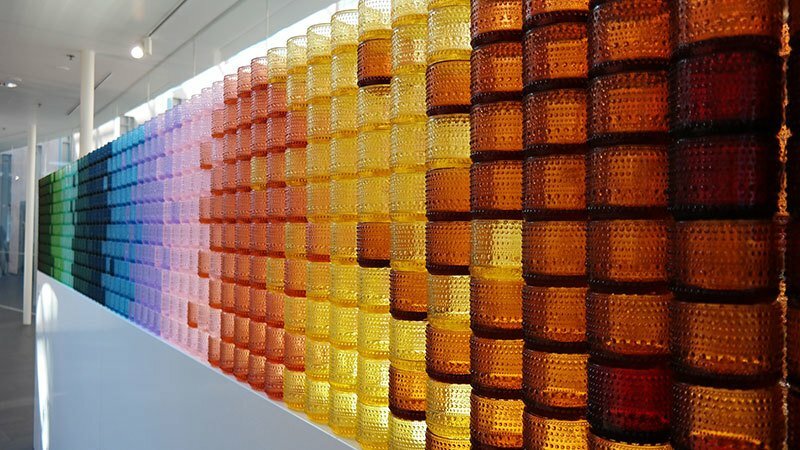 My favorite was the colorful glass votive installation created with iittala’s candle votives. 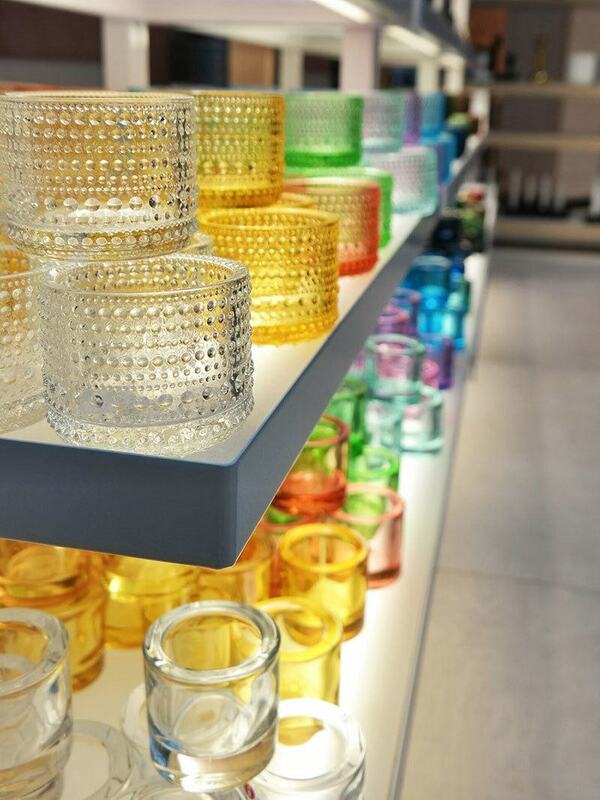 Iittala is another Finnish home ware company, also owned by Fiskars Group, and nowadays both Arabia and Iittala products are developed and produced in the Arabia factory. You can visit the Arabia factory and have a guided tour and learn more about the makings of the products. It was fascinating to learn how the products are designed, and then the molds built for each product. 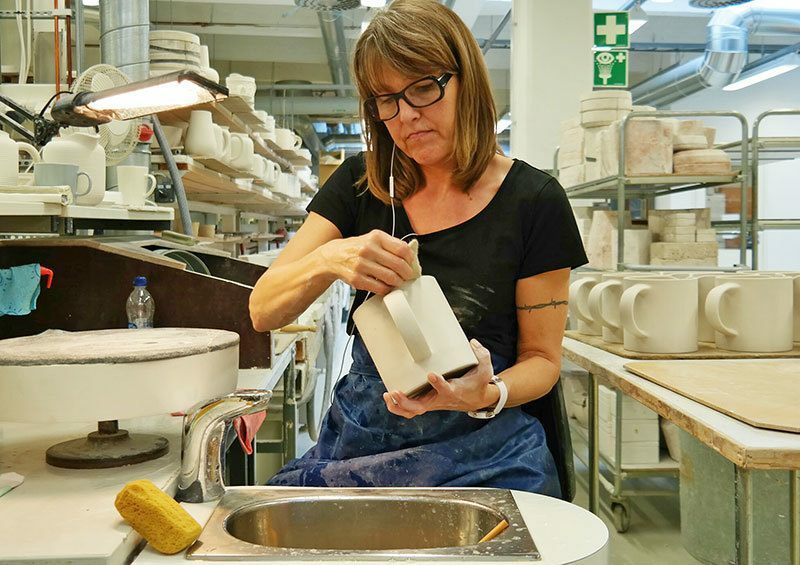 Even more interesting was learning about the glazes and the colors in the ceramics, and why the Arabia Iittala products last a lifetime due the high quality process and materials used, and the decades of research of the best ways to manufacture ceramics. I can’t even start to explain the process in detail, but it was interesting learn little details like that the color red is the most difficult (and expensive) to produce. After also hearing how long the manufacturing process of many of the products takes and the high amount of individual steps involved, I swore I never complain about the high prices of Arabia and Iittala products anymore. (And I have been collecting Arabia dishes for 20 years now, and still use the same plates I used back then, and the quality truly stands the time). While many of the products are completely machine manufactured in the factory, there are still several products that are handmade. 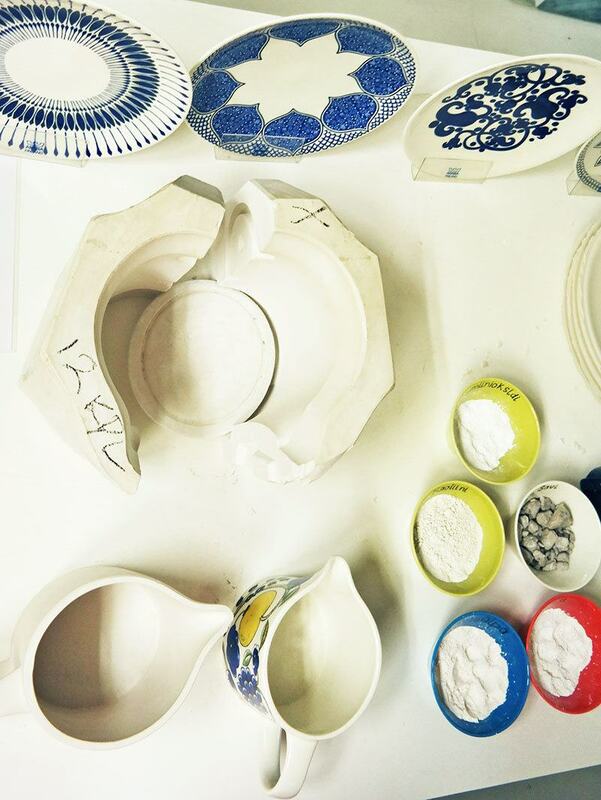 Most of the prints in the ceramics for example are hand-places into each product instead of printed with a machine. 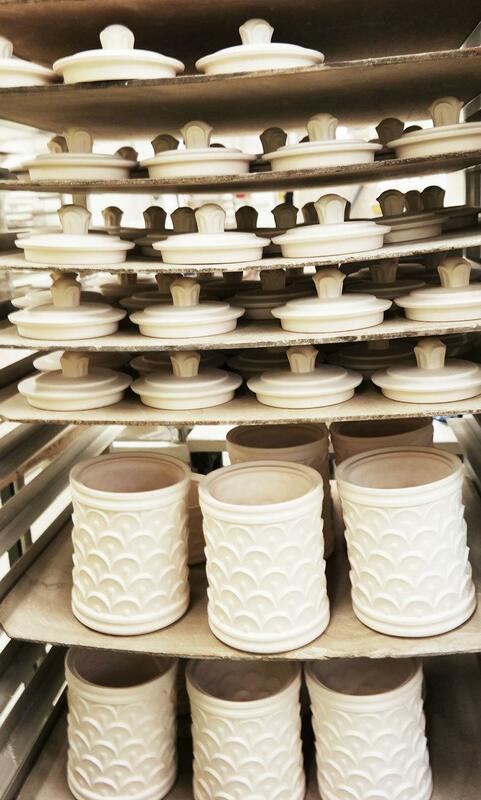 One of my favorite stories from the factory tour was to hear how the factory was being renovated in 2010, and during the renovations a sealed room was found consisting of hundreds of old ceramics molds. 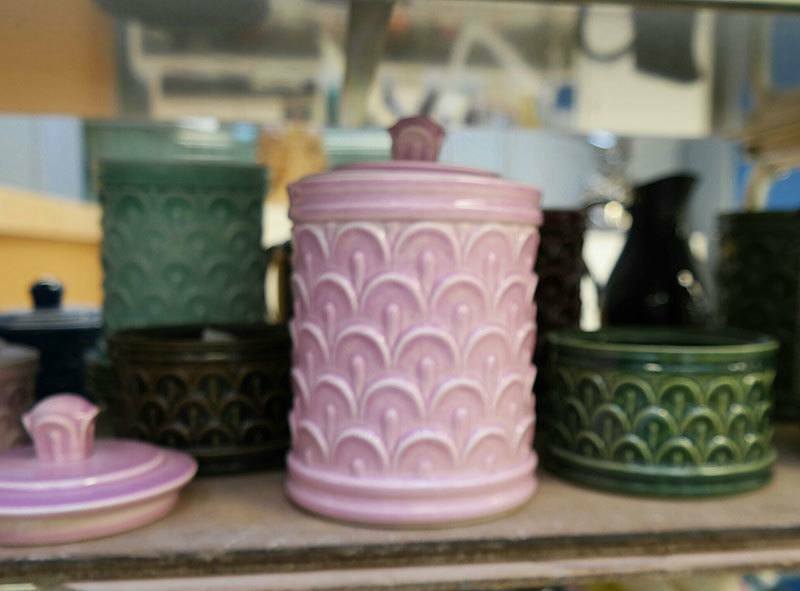 The molds were identified, and a few of them form the Arabia Memories collection today, only available to purchase at the factory store. The molds were of pieces designed by Kurt Ekholm, Michael Schilkin and Kaj Franck in 1930-1940’s and some of them were in production until 1950’s and some of them never made it into production. What an incredible time capsule! Last, but not the least, the Arabia Factory also has an excellent showroom where you can find ideas for home decorating with the products from Fiskars Group. And of course, who could forget about the outlet store, where you can score many of the products for lower price! 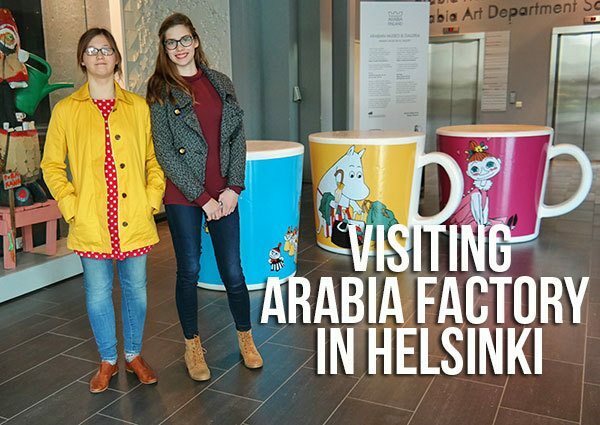 More information about visiting the Arabia Factory, read from Arabia.fi. 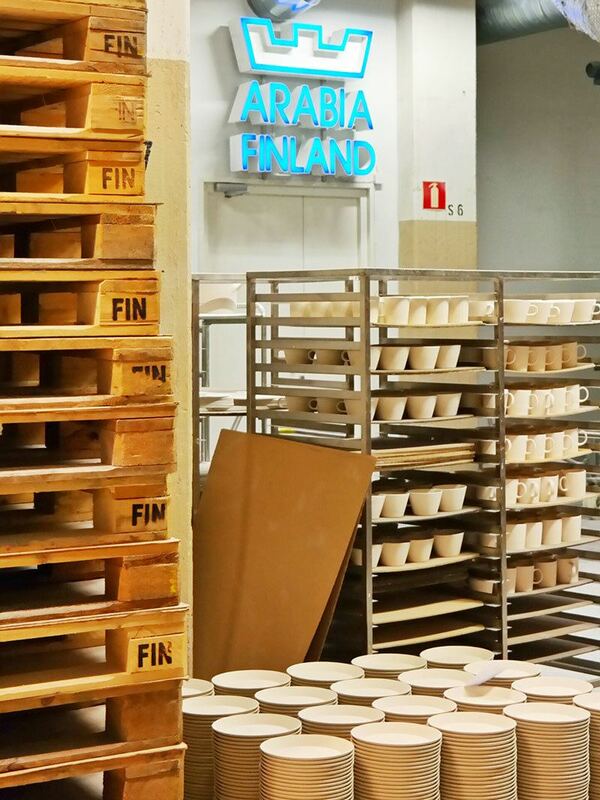 My visit to Arabia Factory was part of a media trip in Finland organized by Visit Porvoo. “My mission is to inspire you to live life to the fullest and find your own “skimbaco,” how you enjoy life where ever you are in the moment. 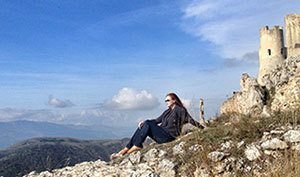 For ideas for travel, home, food and fashion, subscribe to weekly Skimbaco Lifestyle feed on Mondays and I hope you get my newsletter that I send out sometimes on Fridays.” Katja Presnal, editor-in-chief and the owner of Skimbaco Lifestyle. Visit Skimbaco Lifestyle (Skimbacolifestyle.com)’s profile on Pinterest. I would love to be able to delve into the history of art and design in Finland. The mid century jewelry and furniture, too! WOW. I guess I shouldn’t be surprised by this – I also ADORE Arabia products and have a collection of vintage Arabia enamelware that I display in my kitchen. 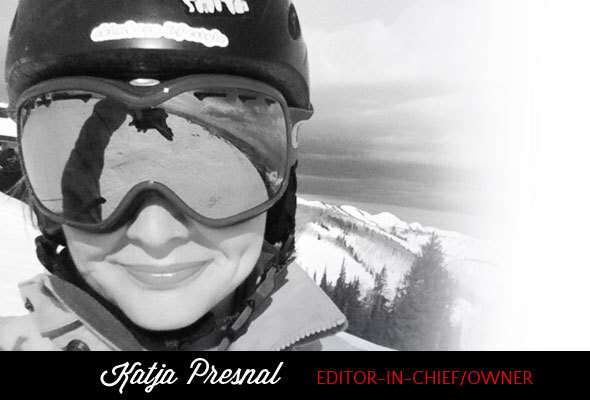 My favorite is the vintage Pastoraali line – SO expensive and hard to find, but SO INCREDIBLY darling I can’t stand it!